Using video cameras to follow eye gaze the researchers found that physicians using electronic health records were likely to spend a third of their time in the consultation looking at the computer screen (I’m surprised it was only a third!) and, more surprisingly, that the patient too gazed at the screen, even if they couldn’t see, or read, the details on the screen. Can’t disagree with that….it’d be surprising if a doctor could pick up the non-verbal clues when they are looking at a screen. What do the researchers recommend? Pssst! Researchers! I’m over here! How about getting Humphrey Bogart to teach doctors? If the norm was “here’s looking at you, kid”…..well, what do you think?? 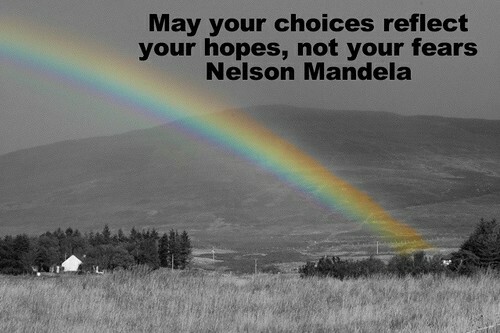 Fear drains the colour from our world, hope paints it back. Fear is used in such a controlling way in our world…..it’s the major tool used to produce conformity, uniformity, compliance, and obedience. Yet no life can be lived without hope. Every day that’s my job….to help dispel fear, and instill hope. Do not depend on the hope of results … In the end, it is the reality of personal relationship that saves everything. Well, when you defend idealism, you defend imagination. You defend possibility. You defend the world of ideas. The argument against idealism is the wish to be “practical”—the wish for an evidence-based world, the wish for proof. Idealism affirms the place of mystery, not knowing, and caring about things that are [immeasurable]. So I always see the argument against idealism as the argument against democracy, the argument against love, the argument against justice and equity, and all the things that our culture has abandoned in the name of privatization and economic well-being. I was often “accused” of being an idealist as a teenager, and it was always a charge I was happy to accept. I still do. I completely agree with him about the place of mystery, and about caring about things which are immeasurable. He then goes on to discuss how being “results minded” values doing what is already being done, and repeating it. I remember Sir Harry Burns, the Chief Medical Officer of Scotland saying how he worried that “evidence based medicine” was being used to stop innovation and development, how if all we do is keep doing what we have already “proven”, then we will hold back improvement and creativity. It’s just [I know] that the conversation about results-orientation doesn’t produce results. When people say they’re “results-minded,” I know that they just want to recreate the past. Underneath it all, they’re kind of bored. So that language of a tough-guy adolescent—zero defects; failure is not an option; total results-oriented; if you can’t measure it, it doesn’t exist; evidence-based medicine; evidence-based education. All that language doesn’t take us anywhere. I’m sure some people will find that view controversial, but it sure “sounds true” to me. Finally, I really liked his suggested question for us to ask ourselves…. What would it take to create a future distinct from the past? There’s so much left. You know if you lose wonder, you’ve lost everything, so I can’t tell you what I’m going to be wondrous about tomorrow, but I live now, and what I’m living right now is the world of wellness, helping as much as I can, being the voice and the creator of more applications and more ways to access happiness. Yes! Wonder, or the “emerveillement du quotidien” gives daily life a constant quality. And “living right now” is the only way to really live. Goldie was talking at the World Economic Forum about her MindUp project – a programme her Foundation has created based on mindfulness practices and positive psychology. I like her emphasis on neurobiology and her focus on children and schools. In the A – Z of Becoming, the fourth verb, D, is for Dream. I took this photo some years ago in the Ginza district of Tokyo. I think it captures two ideas about dreaming. The first is that when we think of dreaming, partly what we think of is what we do when we are asleep. What did you dream last night? Can you remember? Nobody understands what night time dreaming is about, but for many years psychoanalysts and others have found that dreams can be a rich source of insights into the unconscious mind. If you want to explore what lies within your own dreams, you’re going to have to start improving your ability to remember them. The best way I know of doing that is to keep a notepad beside your bed with a pencil or pen beside it and when you wake up, immediately write down what you can remember from the dreams you’ve been having that night. I’m sure you’ll have had the experience of waking up in the midst of some vivid or powerful dream, only to find all trace of it disappears when you have your first thought about the day you’ve woken up into. I think there is also some mileage in setting your intention. Before you go to sleep, your last thought can be “let me dream tonight, and let me remember tonight’s dreams when I wake tomorrow”. Many people say setting such an intention, coupled with having the notebook ready for when you wake, gives you an increased chance of capturing those dreams. As with so many other thoughts and behaviours, the more you do it, the more easily you’ll do it, so even if the first few mornings you find you still can’t remember anything, persist. Once it becomes established, it becomes more useful. The second is the kind of dreaming we do when awake, and I don’t particularly mean free-floating day dreaming, I mean consciously dreaming. 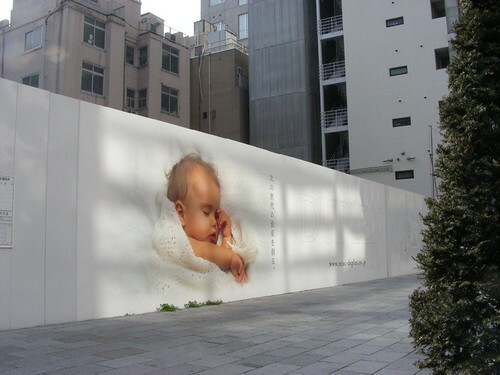 The fact this construction company in Tokyo chose to print an image of a sleeping baby, cleverly hints at that other kind of dreaming….the kind which is part of the creative process. Dreams which become plans, blueprints, goals, projects…..dreams which become paintings, poems, stories and songs. Dreams of where we want to go, what we want to see and do. Allow yourself this week to become aware of both these kinds of dreams. Maybe you can note some of them down in your notebook….in your dream journal? Maybe you’d like to have two dream journals, one for the dreams of sleep, and one for you conscious dreams, or maybe, and I prefer this option, the one journal for ALL your dreams……after all, you might find that the one kind of dream becomes entangled in the other kind, and something quite surprising might emerge. Integrative Medicine is an approach to health care which emphasises the need for greater levels of integration. Simply, integration is the creation of mutually beneficial bonds between well differentiated parts. The two aspects of that definition are the bonds – better integration means more connections of a mutually beneficial nature, and better differentiation of the parts. Within our own bodies, which are incredible complex networks of highly differentiated cells, we see a healthy state when each of the individual organs (each of which are networks of millions and millions of different cells), are functioning well……the heart functioning and flourishing as the best heart it can be, the liver functioning and flourishing as the best liver it can be, and so on….and where each of the organs are contributing to the health of the other organs. 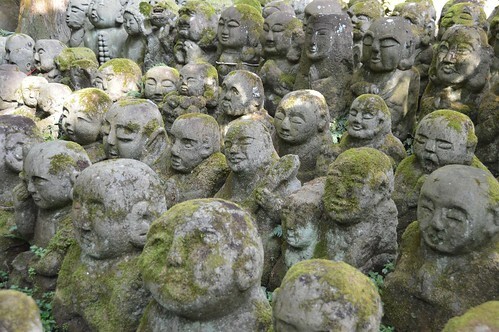 Within an organisation, which are also incredible complex networks of distinctly unique human beings, we see a healthy state when each of the individuals is flourishing….developing and exhibiting their greatest potential…….and relating to all the others in the organisation in mutually beneficial ways. In short, be your unique self, and relate to others in ways which are good for you AND the other. It’s Burns Night tonight, but I’d like to share the opening verse of a poem by another old Scottish poet, Thomas Campbell. From his, ‘The Pleasures of Hope’….. Although this turns around the French idea of the “view from on high“, in some ways, it’s the same idea. How often does it seem that it’s the distant mountains which catch our eye when we look at a landscape? I know that’s what catches my eye first. 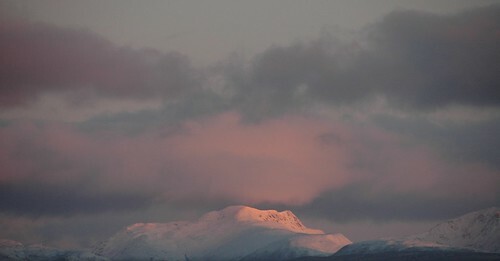 Every single day I look out of one of the windows of my flat and look for Ben Ledi. Unless there is mist, or the clouds have come down in front of it, it’s Ben Ledi I see first. I like this idea of Campbell’s that the ‘distance lends enchantment to the view’, and I think our everyday often lacks enchantment, so maybe here’s an easy way to increase it…..look to hills, folks!